Did you know that 1 in 10 people suffer from kidney stones over a course of their lifetime? According to the recent studies, the rate of kidney stones is on the rise across the country. Kidney stones are actually the hard mineral deposits that are formed inside the kidneys. When they pass through the urinary tract, the pain is excruciating. Once you have these stones, you are 50 percent more likely to get it in another 10 yrs. If you have a family history, there is no sure way to prevent it. Kidney stones are a term that are hard mineral deposits that are crystallized together inside your kidneys. They can have different causes as well as different food culprits. Some are also related to kidney infections. Genes can also play an important role in it. Other conditions that make kidney stones include obesity, gout, intestinal surgery and many more. 1. Stay hydrated: Drinking plenty of water can dilute the substances in the urine that often lead to kidney stones. If you don’t drink enough, urine output will be low which clearly means that urine is more concentrated and less likely to dissolve urine salts. Try to drink enough fluids so you can pass 2 liters of urine a day. You can also drink lemonade or orange juice. They both contain citrate, that may prevent stones from forming. If you don’t know whether you are hydrated or not, just take a look at your urine. It should be clear or pale yellow. If it’s dark, drink more water to maintain the balance. 2. Eat more calcium: Intake of too little calcium can cause oxalate levels to rise, and cause kidney stones. To avoid this, make sure to add calcium rich food items in your diet. Taking calcium supplements with your meal may also reduce the risk. Some good calcium-rich food options are low-fat milk, low-fat cheese, low-fat yogurt etc. 3. Increase the intake of citric acid: About 60 percent of people who have kidney stones have low citric acid. It is necessary to include it in your diet so as to manage the balance of all the necessary acids in the body. Good sources of the citric acid include one 8-ounce glass of orange juice or watermelon juice. You can also drink lemonade. 4. Avoid stone-forming foods: There are various food items that can contribute to kidney stones. Beets, Chocolates, Spinach, Tea and most nuts are rich in oxalate as well as phosphate. If you are suffering from stones, your doctor may advise you to stay away from these food items. 5. Take the proper medications: It is necessary to talk to your doctor and tell him your complete medical history. Tell him the medications that you are currently taking. Some drugs like diuretics, decongestants, steroids, chemotherapy drugs can increase your chances of kidney stones. Talk to your doctor if you are taking any such medications. There are some medications available that can help control the amount of material present in your urine. You can get these medicines at an online pharmacy. 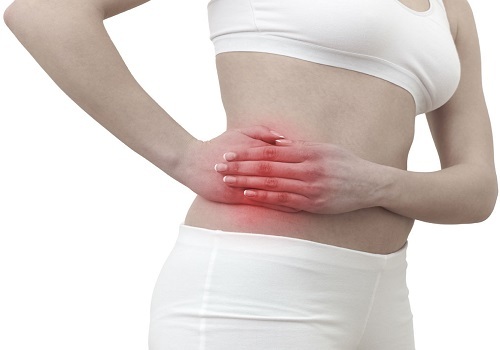 Kidney stones are so common that there is no guarantee whether the treatment will work or not. If you have a medical condition that can increase your risk of kidney stones, such as inflammatory bowel disease, obesity etc, talk to your doctor about ways to manage the risk. How acids influence your digestive system?